Start your journey into the 5 part series of the F3 FACE FEAR FITNESS program with this foundational workout. Designed to build you a solid strength and cardio base and prepare your body for the more intense workouts in the program. 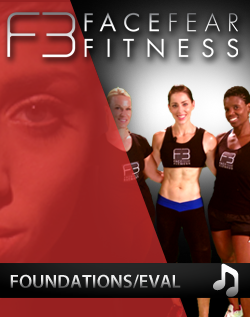 Fast forward to the end every few weeks and complete your F3 Eval - a fitness evaluation to assess and measure your results to keep you on track to continuous improved athletic performance (no equipment necessary/dumbbells optional).